Can you beat the S&P 500 by using the S&P 500?  It may be possible over time with an equal weight S&P 500 strategy, rather than with the more familiar cap weighted strategy you find with, for example, the well-known SPY index (SPDR S&P 500 ETF). Here’s what I mean. Capital weighting (or cap weighting) uses a company’s market price and the number of outstanding shares to determine the percentage weighting of the company’s inclusion in the index. The larger the components, the larger that company will be weighted (allocated assets) in the portfolio. Equal weighting distributes the same investment amount into each company stock in the same pro-rata amount. All companies, regardless of their capital size, will thus be represented equally in the index. There are of course pros and cons to each strategy. Which is best? Before answering, let’s look at a simple example to show more clearly the difference between cap weighting and equal weighting. For Example: The four companies below are included in the same portfolio, but each company is weighted differently based upon the components. To determine the percentage of each companies’ weight, we take each companies market price and multiply it by the number of shares outstanding, and then we take this amount and divide it by the Total Market-Cap for the Portfolio (total of all companies # of shares outstanding X market price). Although “Company 2” and “Company 3” have the same amount of # of shares outstanding, “Company 2” is has a larger weight because it has a higher market price per share. As mentioned, equal weighting distributes the weight evenly throughout the index fund regardless of market capitalization or size relative to the economy. Using the above example, this portfolio would allocate the same dollar amount into each position. So which approach is better, if there is one? Can we outperform the S&P 500 using the S&P 500, but changing the selection approach? The chart below shows this has been happening. 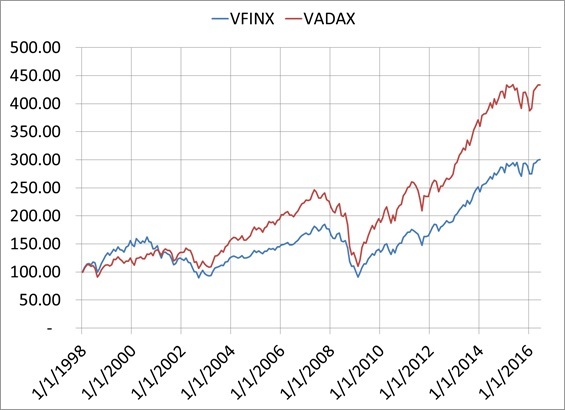 VFINX is Vanguard Index 500 fund (blue line). VADAX is INVESCO Equally Weighted S&P 500 Fund Class A (red line). 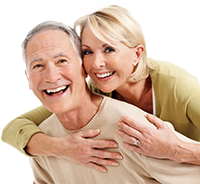 Prices are adjusted for dividends and capital gains. Both prices are set to $100 on 1/1/1998. The graph ends on 6/30/2016. VADAX ended at $440, while VFINX ended at $305. This is even more remarkable given the much lower internal costs at Vanguard. This graph compared the longest history between the two weighting approaches, but to avoid the front-end load and higher internal expenses, I have also compared VFINX to RSP. RSP is the Guggenheim S&P 500 Equal Weighted ETF. 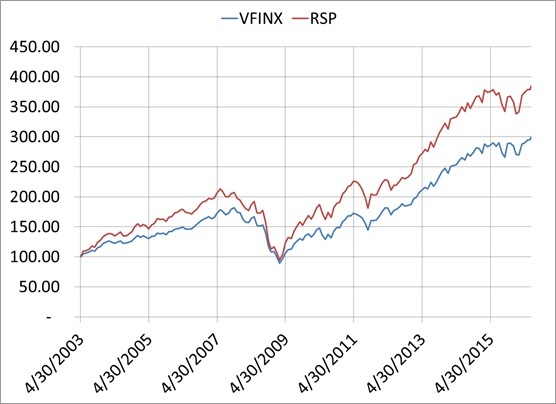 In this example over about 13 years, VFINX ended $300, while RSP ended at $385. Again, over time, the equal weighted index outperformed the cap weighted index. Understand the pros and cons of each approach before making changes. For example, typically in bear markets, the cap weighted index may outperform (even though both may be declining) the equal weighted index. This may be because of the lower small company weighting. In bull markets, the equal weighted index may outperform the cap weighted index. This again may be because of the smaller company equal weighting.